Transportation is essential to any organization. Therefore, as your church works to accomplish its mission in serving others, you need to ensure coverage for your vehicles. You need to keep your ministry on the move. Beacon Insurance Agency offers commercial auto insurance coverage that goes beyond policies offered by other providers. 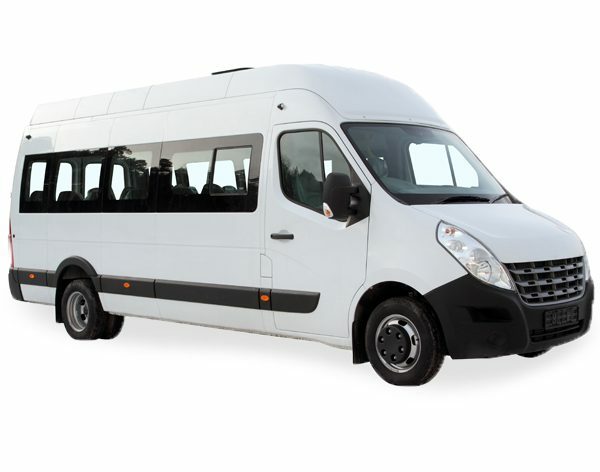 We provide Risk Management support to ensure the safe handling and operation of 15 passenger vans. These vehicles are much more dangerous than standard vehicles. According to research by the National Highway Traffic and Safety Administration (NHTSA) 15 passenger vans are at greater risk of rollover. Often, this is due to operation by inexperienced drivers. Other factors include improper sizing or inflation of tires and incorrectly loaded cargo or too many passengers to keep the vehicle’s center of gravity in balance. In addition, passengers often fail to follow proper use of seatbelts or do not follow proper conduct during their time on the road. Further, the lack of side impact protection makes the rate of fatalities and serious injuries in van accidents exceptionally high. Unfortunately, many other companies no longer offer 15 passenger van coverage. Because of their higher rate of involvement in accidents, insurers have backed off. However, we understand the unique needs of churches, nonprofit service organizations, and private schools to have means of transporting groups. Receive the Right Commercial Auto Insurance Coverage Today! As a church insurance agency, Beacon Insurance works closely with our clients to provide them with all types of church insurance to ensure their safety in all situations. This includes uniquely tailored commercial auto insurance policy packages. Ministry and service rely heavily on the ability to go out into the community. So transportation plays an essential role in accomplishing that. Unfortunately, transportation is also one of the most recognized risk factors. Accidents can cause tragic consequences for the individuals involved as well as the entire community. Moreover, the financial implications of these accidents can endanger the ability of your organization to maintain its function. At Beacon, we offer GuideOne Insurance to provide business automobile insurance policies that are essential to sufficiently protect your church. Oftentimes, accidents are avoidable. Sometimes, they happen because drivers are not sufficiently trained to handle sizeable vehicles. Other times, poor maintenance of the vehicle or inconsistent safety inspections play a role. For these reasons, we strongly urge our clients to establish a transportation program. It should include insurance coverage and risk management practices to protect members, youth, volunteers, and employees from injury, lawsuits, escalating legal fees, and fatalities. When there is an accident, your church can be held liable for injuries suffered by passengers and may face court costs, legal fees, and settlement costs. Even for organizations that have not been found liable, the cost of defense can be to great a burden for a church to survive. For that reason, it is essential to have commercial automobile insurance that covers transportation risks for the church’s owned, non-owned, and hired vehicles for liabilities that may be incurred in the event of an accident. Keep your ministry safely on the move with commercial auto insurance coverage! Call Beacon Insurance Agency to talk to one of our agents about your church insurance needs today!